Red Ash ( Alphitonia excelsa, RHAMNACEAE ). 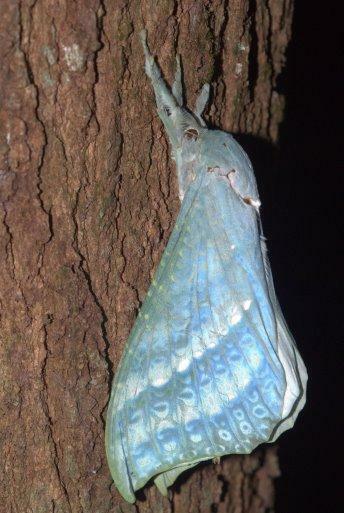 The male adult moths have blue-green forewings and white hindwings. 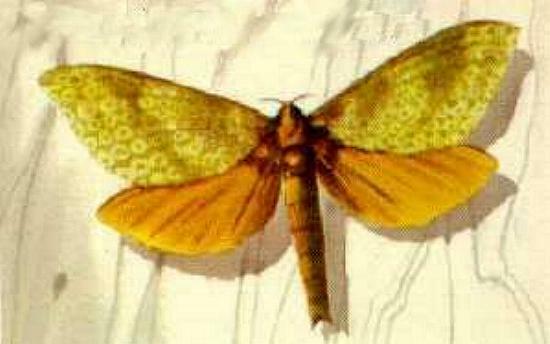 The males have a set of brown hairs at the base of the wings that emit a pheromone. Some humans can smell this, and some cannot. 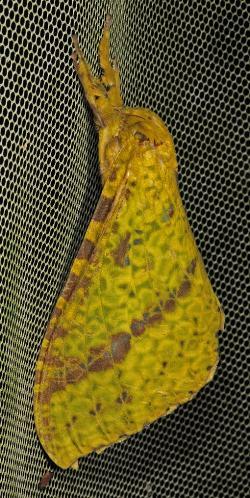 The females have brownish green forewings and yellow hindwings. 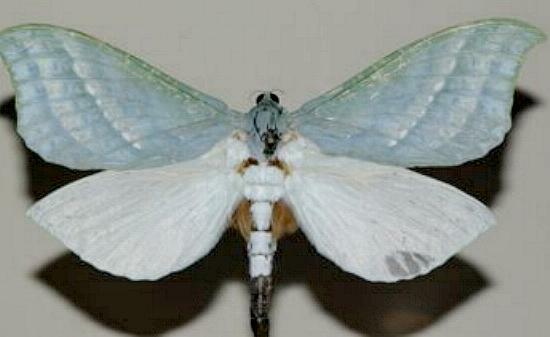 The moths often have a wingspan exceeding 10 cms. 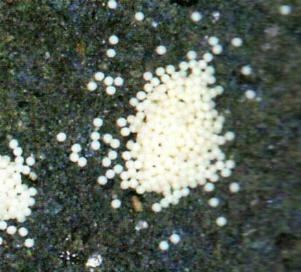 The eggs are spherical, and initially white. They are laid in random piles. Melbourne University Press, 1990, pls, 2.1, 2.9, pp. 46, 148. LeapFrogOz, Kuranda, 2015, pp. 94-95. Series 6, Volume 13 (1894), p. 440. CSIRO Publishing, 2007, p. 41.